Glug glug glug. "Don't drink your calories" is a standard piece of weight loss advice. But what does that mean? For starters, among the most simple and effective ways to cut calories (while not ending up feeling deprived and hungry) is to swap soda for water. But one Coke now, three by lunchtime, what’s the big deal? Well, let’s analyze the stats: one 12 oz. can of soda (such as, say, a Coca-Cola) has 39 grams of sugar, which is roughly the same as consuming 10 whole sugar cubes (that's right-- not 1, but 10). Cutting just one 140 calorie soda can per day is equivalent to skipping enough calories to lose 14.5 pounds in a year. Cut three cans per day and that's 43.5 pounds! Obviously, that's not exactly how things in the human body work– but that doesn't mean it's far off. One study showed that overweight female participants who switched sweetened caloric beverages (soda, juices, etc...) for water decreased their total energy by 200,000 calories over one year Replacing sweetened caloric beverages with drinking water is associated with lower energy intake. Stookey, JD., Constant, F., Gardner, CD., et al. Children's Hospital Oakland Research Institute, Oakland, CA. Obesity 2007 Dec; 15(12):3013-22. . 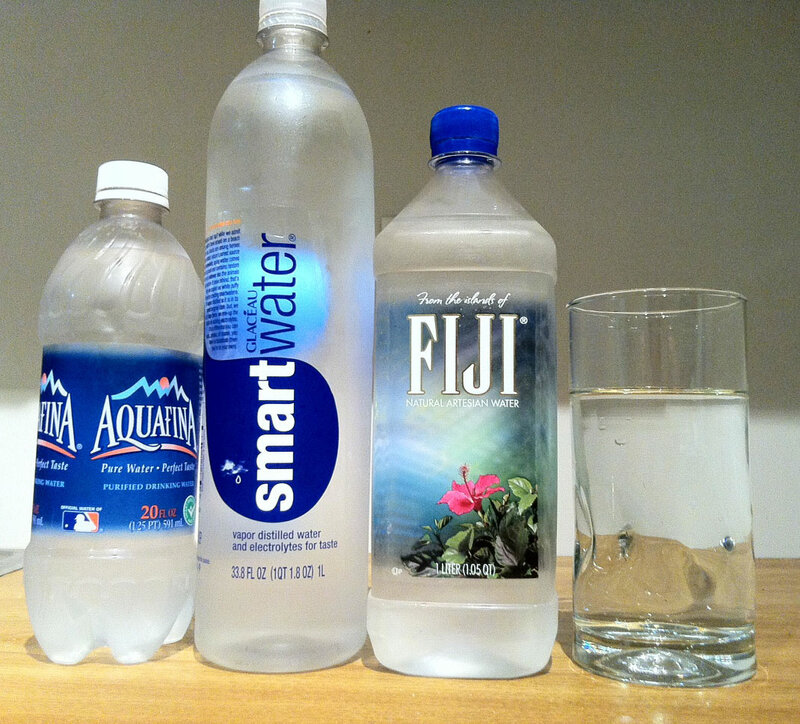 Couple that with the pros of drinking water (such as the fact that downing a 17 oz. of water per day speeds metabolism by 30%) and the switch seems like a no brainer. Plus, don't think drinking "diet" soda allows anyone off scot-free! Diet soda may be calorie-free, but that doesn’t mean it’s good for the body. In fact, they've been linked to weight gain and obesity as well as Type 2 Diabetes Replacing sweetened caloric beverages with drinking water is associated with lower energy intake. Stookey, JD., Constant, F., Gardner, CD., et al. Children's Hospital Oakland Research Institute, Oakland, CA. Obesity 2007 Dec; 15(12):3013-22. .
Don’t care about weight loss? Still not off the hook. In terms of corroding tooth enamel, soda has been compared to battery acid. And a recent study even claims drinking more than one soda daily increases blood pressure. Sugar-sweetened beverage, sugar intake of individuals, and their blood pressure: international study of macro/micronutrients and blood pressure. Brown, IJ., Stamler, J., Van Horn, L., et al. Department of Epidemiology and Biostatistics, School of Public Health, Imperial College London, London W2 1PG, United Kingdom. Hypertension 2011 Apr;57(4):695-701. .
Swapping soda for water isn’t only a simple, calorie-cutting tip, it’s also obviously more cost effective (as long as the local tap water is high-quality). Also, don't mistake regular water for the souped-up, "enhanced" kind like Propel or Vitamin Water (because that's a whole other article). Instead, we’re focusing on the natural, essential-to-life, and surprisingly thirst-quenching H2O. Start by not buying the bubbly bottles: out of sight out of mind. Wean off the carbonation cravings with seltzer water or sparkling water. Ease the caffeine withdrawal with no-calorie caffeinated options such as tea or coffee (just don't add the milk and sugar). Buy a water bottle or tumbler and keep it at work, refilling it with water whenever it's done. Having something else to reach for instead of a soda can from the fridge will make all the difference. Many weight loss success stories begin with this simple switch-- after all, swapping two 12 oz. cans a day for two glasses of water could legitimately save 1960 calories per week. That’s just over half a pound and, of course, those weeks (and potentially lost calories) will add up quickly. Grab a tall, refreshing glass of water instead of the carbonated, artificial can of soda. It's an easy way to lose a surprising amount of weight.